The year 2011 has ended. We have explored and reviewed so many useful tools and resources for you all the year. Today, we are going to take a look on few of the web apps we have featured that we think you would like bookmark for 2012. I hope designers, developers and programmers will like this list, but you can also use them and will love them whether you are an office worker, a manager, a supervisor, a student, a home user, etc. They are really amazing in respect to their features. This is the list of Coolest Apps Of 2011 You Would Never Want To Miss In 2012. We have categorized them as Web Apps, Desktop Apps and Smartphone/Tablet PC Apps. Just take a look at them and share your thought’s here. You are welcome if you want to share more cool apps that our readers/viewers may like. Do you want to be the first one to know the latest happenings at SmashingApps.com just subscribe to our rss feed and you can follow us on twitter as well. Screenfly allows you to view your website on a variety of device screens and resolutions. It makes testing your online content, mobile designs, and responsive layouts a cinch. Choose common browsers, screen resolutions, and even mimic mobile phone and tablet devices. It has all the features and functionality you need to keep track of your customers and prospects – their names, when to call them back, what you said to them last, what they bought, what they might buy. And as the name implies, Free Edition is a completely free CRM system. You can also upload documents such as letters, faxes, spreadsheets and keep them on the system. In CRM jargon, it is a complete Sales Force Automation system: Account Management, Contact Management and Opportunity Management with Sales Forecasting. IdentyMe is a service for making of virtual business cards. You can collect all your contacts in one place and create a portfolio. It will helps you share information with new people, find new friends and business partners. LiveGO is an all-in-one solution enabling Internet users to stay connected to their social networks as Facebook and Twitter accounts, InstantMessengers as MSN Messenger, Yahoo and Gtalk, and email accounts as Hotmail, Gmail and Yahoo!. You can create your own free website that looks and functions the way you want. Wix is an online editor with a drag and drop interface that lets you learn how to make a website without the need to bother with any code or web programming. To build your site, use the free design elements found inside the Wix website builder. Add pictures, text, contact forms, Google maps, social network icons and links, music, video files and more, in just a few simple clicks. You can also upload your own content, to add your own photos, animation files, text and more. moneytrackin‘ is a free online webapp that allows you to track all your expenses and incomes easily and without effort, thus allowing you to have a clear view of your financial situation. It intends to be a simple yet powerful online budget management tool. This is a dead simple yet free logo maker web tool which can helps you create a logo in just few easy steps. CrocoDoc is an excellent online tool to share and annotate PDF files. If your friends do not have PDF file reader, you can upload the file to CrocoDoc and it will become viewable in the site’s HTML5 interface. The PDF file can also be annotated. The original and annotated versions can be downloaded separately by visitors to the PDF’s URL. The astonishingly simple way to share, track, protect, and control your files, messages…and relationships. Dialawg is a secure conversation, accessible from anywhere, where parties may exchange messages, share files and collaborate on documents. TitanPad lets people work on one document simultaneously. While working on this app, you may do infinite undo and everyone gets their own color. TagCrowd is a web application for visualizing word frequencies in any text by creating what is popularly known as a word cloud, text cloud or tag cloud. It specializes in making word clouds easy to read, analyze and compare, for a variety of useful purposes. AgileWrap is a simple, elegant, agile lean product lifecycle management solution to enhance product development, and realize faster time to market. It helps organizations optimize the product development process by enabling effective planning, providing visibility in real-time, incorporating customers feedback sooner, and facilitating collaboration easily in distributed teams. Business partners and friends want to meet with you. Show them when you’re busy and available and let them submit meeting requests to get on your calendar. MeetMe is your central hub for scheduling. and a team status list. You can create your free mobile website in minutes with Moably. It works seamlessly on the iPhone, Android, BalckBerry, and the majority of other major mobile operating systems. SnatchCode is a one click website backup solution. They help webmaster’s get rid of complicated backup solutions by replacing with their robust service. LayerStyles v 0.1 is just like your favorite graphics editor but in your browser. You can use it to create css code of the special effect you would like to give on your web design. This is absolutely not your typical slideshow. With SlideBomb, You can add Youtube videos, Google Maps, images, links to images, text, and more to your slides for sharing and embedding anywhere. Twileshare assists you in uploading and sharing PNG, GIF, JPG, DOC or PDF files on Twitter. You can now drag, drop, a few clicks and you can have the WordPress theme you wanted with Lubith. It has very intuitive interface that helps you move and resize the theme elements just by dragging the two knobs. Otipo is a web-based application which provides a new and fun way for scheduling shifts. With Otipo, all the required information is in one place, and all the team members can access it from anywhere, anytime. It’s time to say goodbye to the pen and paper and let Otipo schedule like a pro. The website speedtester shows the duration of a given website. This value can be used for showing how long a website take to load and if it is better to optimize the website or change a (slow) ISP. FindFiles.net is a rapidly developing search engine for files of all types, operating its own crawler. FindFiles database currently contains links to 732,941,672 files. FindFiles supports all existing Mime Types (apart from standard html text-pages) like jpeg, gif, png and tiff images, Microsoft doc and Excel documents and exe executables, pdf and plain text documents, dwg AutoCAD and wrl virtual reality data files, archives like zip, gzip and jar, apps for smartphones like apk for Android and sis for Symbian etc. XML/SWF Charts is a simple, yet powerful tool to create attractive web charts and graphs from dynamic XML data. The XML source can be prepared manually, or generated dynamically using any scripting language (PHP, ASP, CFML, Perl, etc.). You will find numerous Word-to-PDF converters online but something that does the reverse is not that abundant. This is why many people will find PDF to Word Online Converter valuable – because it converts PDF files into Word documents. This free online file converter lets you convert media easy and fast from one format to another. They support a lot of different source formats, just try. If you can’t find the conversion you need, you can contact them. They will try to help you. PrivNote is a free online note taking applications which you can use to jot down ideas or for any other reason. The best thing about PrivNote is that it generates a specific link for the Notes you create so that you can share them with your friends and family. Once the recipient read the note, it will be deleted automatically. It even notifies you once the recipient has read the note. Uploading and saving files online is commonplace today. However, most online storage services require lengthy signup procedures and configurations before you can actually save a file. If you are in need of a quick way to store files online temporarily, QuickForget is the place to go. It lets users to upload files quickly and set the limit (time or views) after which the file will be removed from storage. A great website to store those important files securely. WorldCat.org lets you search the collections of libraries in your community and thousands more around the world. WorldCat is one of the largest network of library content and services which students can use to complete their projects, essays and other school/university related work. Join.me is an impromptu meeting space that happens wherever, whenever. It’s getting a second or third pair of eyes on your presentation from across the hall or across the continent. It’s sharing your screen instantly with anyone or everyone to get stuff done, quickly. GplusTo is a free to use web tool that lets you easily create a Google+ nickname. Based on your nickname it gives you a shortened URL that redirects to your original Google+ profile. Your shortened URL appears as a subdomain of GplusTo with your nickname added. Do you remember the Atari days when the graphics came in eight bit? well Eightbit.Me is a website on which you will be able to create an eight bit avatar of yourself. You just need to sign-in with your twitter account and visit the website on your iPhone and the website will walk you through easy steps to make a cool eight bit avatar of your choice. It’s for FREE. With QuickMaps, users can easily create a map of places they are planning to visits and put different markers on specific places, draw lines, mention details and work they are going for and much more. After creating the map, users can easily post it on their websites or save it so that they can carry it while travelling. FlickrSLiDR allows you to easily embed the classic flickr slideshows on your website or blog. All you need to do is enter the flickr URL address of the user, photo set or group you would like to embed along with some options. them with a unique URL. Billable is much like the first entry on this list. This web app lets you create an invoice by editing the fields on a template loaded up when you visit the site. Your finished invoice can be downloaded as a PDF file. X-Icon Editor is an HTML5 application (based on <Canvas>) that allows you to create high resolution icons that lets your sites shine with IE9. With X-Icon Editor you can quickly get your site ready with a large icon which will be available for pinned sites and the new tab page. Meetin.gs can organize meetings easily without participants having to remember passwords or fill out registration forms. FotoFuze lets you make professional product photography out of ordinary photographs from ordinary cameras at absolutely no cost. Cocoo is a user friendly online drawing tool that allows you to create a variety of diagrams such as site maps, wire frames, UML and network charts. Cacoo can be used free of charge. With HidemyAss, you can surf the web anonymously, hide your IP address, secure your internet connection, hide your internet history, and protect your online identity. All you have to do is paste the URL of the website you want to visit and click on HideMyAss button. Enloop lets you autowrite your business plans in which Enloop helps you easily develop a bank and investor ready business plan, complete with all text and financial forecasts, for free. Then you can measure the success of your business (on a scale of 0-1,000) before or after you start the business. You also get automated financial forecasts with this service that is based on your input. The service automatically generates a 3-year bank and investor ready financial forecast for sales, profit and loss, cash flow, balance sheet forecasts and financial ratios. The forecasts are bank and investor ready to help loan underwriters evaluate your business for risk. This amazing service does all the technical stuff for you. This website gives you access to a virtual keyboard that can adapt into 67 different languages. So if you are looking to type in a different language this is the best solution for you. It also lets you directly use famous search engines and websites to put your text in. You can also save your file in a word document. tempalias helps you out by providing temporary, anonymous email addresses, also called “aliases”. Any message sent to the tempalias address will be forwarded anonymously to your real email address. You can set a maximum number of days or messages for which the tempalias will be valid. When either limit has been reached, your temporary address will automatically be deleted. This new experimental tool from Google Labs examines your website or personal blog and then gives you a deep insight into what can be done to improve the loading performance of your page. It is a very useful tool for all web masters as it gives users actions to perform based on a priority list. 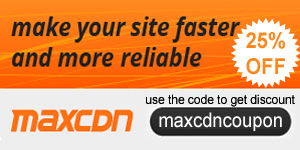 A must try free tool for use for all who want to improve their website performance. Another robust example of html5 based application where you can paint any color in any shade or opacity. You can even play with patterns and “Spirographs,”. Remind Me Later adds events to iCal in two clicks. Type “Buy groceries at 4pm tomorrow”, and it will add “Buy groceries” to iCal at 4pm tomorrow. Recovery Toolbox File Undelete Free is an efficient recovery tool for the NTFS file system. The program can be used free of charge, but it’s not limited in any way – it provides all the recovery features usually found in popular commercial products. The software has a very clear, straightforward and easy to use wizard-based interface that turns the entire recovery process into a chain of interconnected steps. In fact, the program is so easy to understand that anyone can use it, even if they have no recovery experience and possess a bare minimum of computer skills. All you need to do to get from point A to point B is to follow on-screen instructions and make your choices. Advanced SystemCare Free (formerly Advanced WindowsCare Personal) has a one-click approach to help protect, repair, clean, and optimize your PC. This free PC repair software is a “must-have” tool for your computer. SiteSucker is an Macintosh application that automatically downloads Web sites from the Internet. It does this by copying the site’s Web pages, images, backgrounds, movies, and other files to your local hard drive. SiteSucker can be used to make local copies of Web sites. It can download files unmodified or “localize” the files it downloads, allowing you to browse a site offline. ScreenSh00ter creates a screenshot of what is visible on the entire screen, inside ScreenSh00ters frame or a rectangular area you draw on your screen by clicking and dragging your mouse. VirtuaWin is a virtual desktop manager for the Windows operating system (Win9x/ME/NT/Win2K/XP/Win2003/Vista/Win7). A virtual desktop manager lets you organize applications over several virtual desktops (also called ‘workspaces’). Virtual desktops are very common in Unix/Linux, and once you get accustomed to using them, they become an essential part of a productive workflow. Are tired of exporting different sizes for different iOS devices? Fear not, iConify is a quick and easy app to generate assets for your iOS app. With iConify, you can generate all these images straight from your PSD files. Disk Defrag will speed up your computer by optimizing file system. It can defragment files, consolidate free space and move system files to the faster part of the disk. With AML Free Disk Defrag you’ll get the maximum out of your hard drive performance. It is supplied with a powerful engine and smart algorithms which allow Disk Defrag to run much faster than similar tools. Zip2Fix is a free portable tool to extract undamaged data from damaged Zip archive. The undamaged files are extracted into a new zip file. File Repair software is a powerful tool to repair your corrupted files. It scans the damaged file and extracts maximum data from it to a new usable file. You can repair word documents, excel spreadsheets, zip, rar, selected video formats, pdf, etc. FocusWriter is a desktop application that comes in different versions for Windows, Mac, and Linux. This desktop app lets you setup a black background and green text combination much like Darkcopy. Additionally it can set a transparent writing screen with a custom background. You can start using whichever writing canvas you prefer. Apture Highlights is a free tool, built from the ground up to let you take the power of Google search, and the richness YouTube, Flickr, Twitter, and Wikipedia with you to any site. Just highlight a phrase on any site to reveal the web’s best content without ever leaving the page. It’s fast, powerful, and fun to use. ZenKEY allows you to control all aspects of your computer via keystrokes. Using the configuration utility of the ZenKEY Wizard, you can create menus, each containing items which perform “actions”. Image Tricks Lite is a freeware photo editing application that utilizes Mac OS X Core Image filters and Quartz Compositions to transform your favorite photos. Image Tricks Lite also contains a powerful image generator for creating unique images at random. A simple HTML,ASP,JS and CSS editor for your coding on the road, use menu to >”save and view file” to preview. Ice cream Maker is here! where you can whip up any kind of Ice Cream for any occasion. Maverick is an off road GPS navigation application with offline maps support, compass and track recording. With Maverick app, users can automatically use Bing, Google and many other Maps, and they are cached so that they can be used offline, share your current position, navigate to different places easily and much more. DocScan lets you instantly scan multi-pages document and send out when there is no scanner nearby. By having it, you can scan not only documents in sight, but also whiteboards, receipts, business cards, posters, coupons, books …etc. Free Data Vault is an excellent free android app which can help users hide any data type including photos and other media files. This application is different from other applications which allow users to set a password on different folders as it allow users to hide one photo in another and store the fake image on the sd card. USB Disk lets you store and view documents on your iPhone and iPod. It has an amazing built in document viewer and is very easy to use, with a simple and intuitive interface, yet it contains many powerful features. Drag and drop files in iTunes to transfer them to your iPhone / iPod, then view them anywhere. Dolphin Browser HD, most popular and powerful browser on Android Market, is built on Android 2.0+ platform. Beside some basic features, like gesture commands, multi-touch zooming, bookmarking (that syncs to Google bookmarks), Dolphin HD supports more powerful features such as versatile add-ons, better HTML5 support, customizable bookmarks sorting, innovative UI, Download Directory changing, and etc. Fuze Messengers supports messaging across various networks with added feature of SSL encryption to secure your conversations. A 3D guide to the solar system for aspiring astronomers. You can discover when you can see your favorite planet, and where to look in the sky in relation to the stars and so much more. The free Dictionary.com app delivers trusted reference content from Dictionary.com and Thesaurus.com. No internet internet connection is needed to search words. The app includes nearly 2,000,000 words, definitions, synonyms and antonyms. It also features audio pronunciation, voice-to-text search and Dictionary.com’s popular Word of the Day and Hot Word blog. Memory is the treasury and guardian of all things. No matter how many books you study, if you don’t have a sharp memory its as good as its in drain. Memory Trainer is an app to exercise your nerve muscles and train them to remember intense amount of data. It works out your spatial and working memory, focus, chunking and concentration skills. Now you can play Tic Tac Toe on your iPhone or iPod Touch for free. Tic Tac Toe Free is the first full-featured, free Tic-Tac-Toe game for the iPhone and iPod Touch. Suggested : Ice Cream Maker (: i played on my iphone..
Great list! A little bit too long, however, 20 would have been easier to scan through. Coolarticle. Logotype Maker – fantastic. My “discovery of the year” is wwww.kanbantool.com . What i do not realize is if truth be told how you’re no longer really much more well-liked than you may be now. You’re so intelligent. You understand thus considerably with regards to this matter, produced me in my opinion believe it from numerous varied angles. Its like women and men aren’t interested until it’s one thing to accomplish with Girl gaga! Your personal stuffs nice. All the time handle it up!